A duo of essentials for baking spiced springerle cookies in a pretty, Dutch-inspired windmill design. 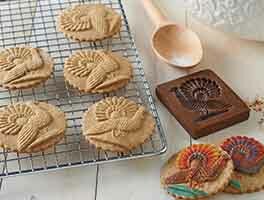 You get our easy-to-make speculaas cookie mix, made of the best ingredients, fragrant with warm, aromatic spices, and mixed and measured for you to make your holiday baking easier. 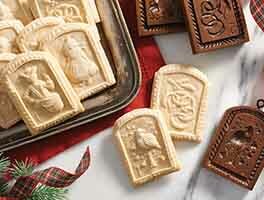 Paired with the traditional speculaas windmill-shaped mold, you can create a classic Old World cookie. 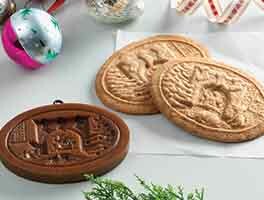 Simply roll out the dough and stamp it with the beautiful hand-carved springerle mold to create stunningly beautiful springerle cookies. Hand-wash only for the mold.